Sarah Ann Tabb was born on 8 September 1851 at Todd County, Kentucky. She married Charles Carroll Hoit in 1873 at Ashley, Washington County, Illinois. Sarah Ann Tabb died on 10 August 1934 at Mt. Vernon, Jefferson County, Illinois, at age 82. She was buried on 12 August 1934 at Oakwood Cemetery, Mt. Vernon, Jefferson County, Illinois. Charles Carroll Hoit was born in 1849. He married Sarah Ann Tabb, daughter of William Kemp Tabb and Lucinda Elizabeth Cornwell, in 1873 at Ashley, Washington County, Illinois. Charles Carroll Hoit died in 1935. Beverley Porter Alvray Tabb was born on 15 November 1851 at Todd County, Kentucky. He married Anna Elizabeth Shank on 15 November 1900 at Gray County, Kansas. Beverley Porter Alvray Tabb was buried in 1935 at Maple Grove Cemetery, Dodge City, Ford County, Kansas.1 He died in 1935 at Gray County, Kansas. James Joseph Clark Tabb was born on 17 April 1856 at Todd County, Kentucky. He died on 10 October 1857 at Crittenden County, Kentucky, at age 1. Elihu Henry Tabb died. He was born on 12 November 1858 at Nashville, Washington County, Illinois. Charles A. Tabb married Lula (---?---).1 Charles A. Tabb was born in July 1869 at Washington County, Illinois. He married Ida B. McKee in 1905 at Hutchinson Ward 1, Reno County, Kansas. Charles A. Tabb died in 1941. 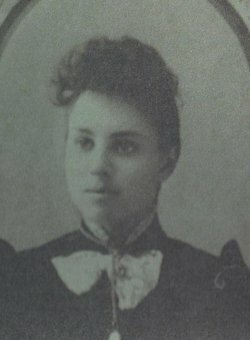 Ida B. McKee was born in 1862. She married Charles A. Tabb, son of Dempsey Thomas Tabb and Laura Altheita Atherton, in 1905 at Hutchinson Ward 1, Reno County, Kansas. Ida B. McKee died in 1938. Lizzie Belle Tabb was born on 10 March 1871 at Illinois. She married William Wilson Hupp on 21 August 1887 at Ford, Ford County, Kansas. Lizzie Belle Tabb married John D. Culp on 19 December 1889 at Gray County, Kansas. Lizzie Belle Tabb married John E. Tallon on 19 May 1900 at Wichita, Sedgwick County, Kansas. Lizzie Belle Tabb married John Henry Waltz on 28 December 1909 at Wichita, Sedgwick County, Kansas. Lizzie Belle Tabb married John Steven Berger in 1945. Lizzie Belle Tabb died on 30 August 1955 at Wichita, Sedgwick County, Kansas, at age 84. She was buried after 30 August 1955 at White Chapel Memorial Gardens, Wichita, Sedgwick County, Kansas. John D. Culp died. He was born in 1846. He married Lizzie Belle Tabb, daughter of Dempsey Thomas Tabb and Laura Altheita Atherton, on 19 December 1889 at Gray County, Kansas. John E. Tallon died. He was born in 1866. He married Lizzie Belle Tabb, daughter of Dempsey Thomas Tabb and Laura Altheita Atherton, on 19 May 1900 at Wichita, Sedgwick County, Kansas. John Steven Berger was born in 1877. He married Lizzie Belle Tabb, daughter of Dempsey Thomas Tabb and Laura Altheita Atherton, in 1945. John Steven Berger died in 1955. Minnie Laura Tabb was born on 20 May 1875 at Hoyleton, Washington County, Illinois. She married James Harvey Egbert on 30 November 1890. Minnie Laura Tabb died on 4 April 1951 at age 75. She was buried after 4 April 1951 at Cimarron Cemetery, Cimarron, Gray County, Kansas. James Harvey Egbert married (---?---) (---?---). James Harvey Egbert was born on 15 August 1861 at Morgantown, Morgan County, Indiana. He married Minnie Laura Tabb, daughter of Dempsey Thomas Tabb and Laura Altheita Atherton, on 30 November 1890. James Harvey Egbert died on 17 April 1945 at age 83. Ada Z. Tabb died. She was born in 1876 at Kansas. Lyle Dempsey Tabb was born on 19 January 1880 at Osage City, Crawford County, Kansas. He married Bessie P. Darnell in May 1910 at Kansas. Lyle Dempsey Tabb died on 7 May 1952 at Tulare, Tulare County, California, at age 72. Bessie P. Darnell was born in 1880. She married Lyle Dempsey Tabb, son of Dempsey Thomas Tabb and Laura Altheita Atherton, in May 1910 at Kansas. Bessie P. Darnell died in 1947. Gertrude Pace Tabb was born on 12 November 1875 at Harrisburg, Saline County, Illinois. She married Carl Malin Horton on 14 September 1907 at East St. Louis, St. Clair County, Illinois. Gertrude Pace Tabb died on 25 September 1931 at East St. Louis, St. Clair County, Illinois, at age 55; According to her obituary, she died from bullet wounds self-inflicted at her home. She was buried on 27 September 1931 at Oakwood Cemetery, Mt. Vernon, Jefferson County, Illinois. Louise Baker Tabb was born on 12 August 1883 at Mt. Vernon, Jefferson County, Illinois. She married Kenneth Eugene Ellerton on 14 September 1916 at Houston, Harris County, Texas. Louise Baker Tabb died on 28 March 1937 at Los Angeles, Los Angeles County, California, at age 53. She was buried after 28 March 1937 at Valhalla Memorial Park, North Hollywood, Los Angeles County, California. Kenneth Eugene Ellerton was born in 1879. He married Louise Baker Tabb, daughter of William Drew Tabb and Cora A. Pace, on 14 September 1916 at Houston, Harris County, Texas. Kenneth Eugene Ellerton died in 1951. Carl Malin Horton died. He was born in 1872. He married Gertrude Pace Tabb, daughter of William Drew Tabb and Cora A. Pace, on 14 September 1907 at East St. Louis, St. Clair County, Illinois. 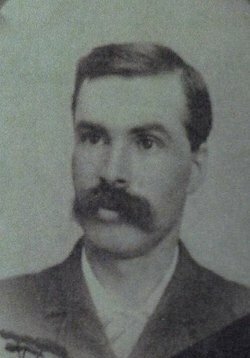 William T Farmer died. He was born in 1864. Laura E. Tabb married (---?---) Strange. Laura E. Tabb married (---?---) Bunnell. Laura E. Tabb was born on 15 September 1901. She died on 2 November 1981 at age 80. She was buried after 2 November 1981 at Maple Grove Cemetery, Dodge City, Ford County, Kansas. Earl Dempsey Tabb married Mary Etta Farrel. Earl Dempsey Tabb was born on 18 November 1905 at Montezuma, Gray County, Kansas. He married Opal Garnett Carlson on 18 September 1960 at Los Angeles County, California. Earl Dempsey Tabb died on 18 November 1997 at Los Angeles County, California, at age 92. Mary Etta Farrel married Earl Dempsey Tabb, son of Beverley Porter Alvray Tabb and Anna Elizabeth Shank. Mary Etta Farrel was born on 30 June 1916 at Ohio. She died on 20 January 1960 at Covina, Los Angeles County, California, at age 43.